AMSTERDAM (Reuters) - Dutch bank ING Groep NV (INGA.AS) will pay 775 million euros ($900 million) in a settlement with prosecutors, who accused its financial controls of being so poor that customers were able to easily launder money. The settlement, one of the largest ever struck with Dutch financial crime prosecutors, covers a period from 2010 to 2016. ING is the third European bank to be hit by money laundering allegations this year, with Denmark's Danske Bank (DANSKE.CO) facing ongoing investigations and problems that led to the failure of Latvia's ABLV. Prosecutors said they had launched their investigation in 2016 after realizing that a pattern of violations was a signal of deeper underlying problems. They found ING violated Dutch law on preventing money laundering and financing terrorism "structurally and for years" by not properly vetting who were the beneficial owners of client accounts and by not noticing unusual transactions through them. "The result was that clients for years were able to make use of ING bank accounts for criminal activities pretty much undisturbed," a prosecution statement said on Tuesday. It cited four specific examples where ING accounts were used for crime, most notably for bribes paid by telecommunications company VEON (VON.AS), formerly known as VimpelCom, in Uzbekistan. VEON settled U.S. and Dutch charges for $835 million in 2016. Of the settlement, 675 million euros was intended as a fine and 100 million as the return of ill-gotten gains, they added. ING first disclosed it was the target of a criminal investigation in a note to its 2016 annual report and said it could face "significant" penalties. It had not taken a provision ahead of the case, and will book the fine in the third quarter, it said. 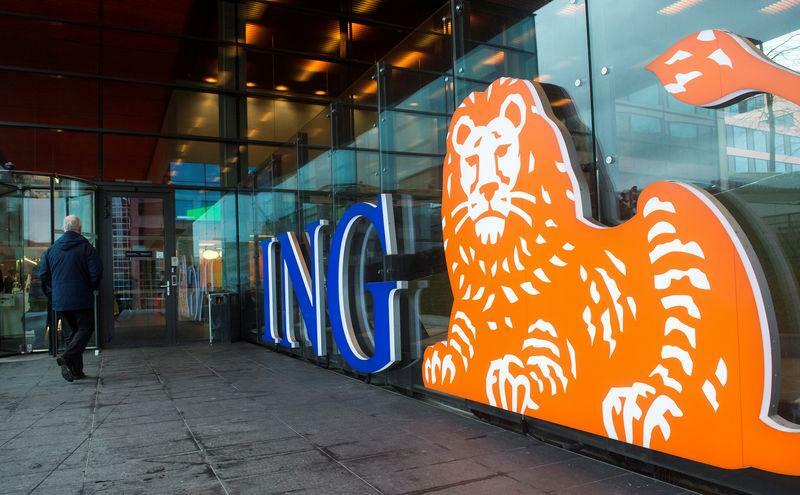 ING's shares fell 2.2 percent to 11.43 euros in early trading in Amsterdam. The bank said it deeply regretted its failures. The bank said its executive board, headed by CEO Ralph Hamers, had agreed to forgo a bonus for 2018. ING agreed in 2012 to pay a penalty of $619 million for illegally facilitating billions of dollars worth of payments through the U.S. banking system on behalf of Cuban and Iranian clients, in violation of American sanctions.